LGBTQ+ people in science, technology, engineering, and maths (STEM) continue to struggle to openly be themselves, and this cannot continue. This change must happen as soon as possible, and so July 5th will be #LGBTSTEMDay, the first international day of LGBTQ+ people in STEM. More than 40 percent of LGBTQ people in STEM are not out, (see: 2013 Queer in STEM survey, 2014 Factors Impacting The Academic Climate) an abysmally high number. One-third of out American physicists have been told to stay in the closet to continue their career. Half of transgender or gender non-conforming physicists were harrassed in academia (2015 American Physical Society survey). Gay and bisexual students are less likely to follow an academic career (2018 Coming out in STEM: Factors affecting retention of sexual minority STEM students). “Solving these problems, requires nothing short of a revolution in how we do science, talk about science, and how we expect science to be. We need inclusive and intersectional changes. To solve the many diverse challenges humanity is facing in the twenty-first century we cannot afford losing people from minority backgrounds,” said Dr. Alfredo Carpineti, Chair and Founder of Pride in STEM, a British charitable trust, and one of the primary organisers of the initiative. The other co-organisers are House of STEM, a network of LGBTQ+ people working in STEM in Ireland, InterEngineering, an organisation for LGBT inclusion in Engineering and Out in STEM, a U.S. society educating and fostering leadership for LGBTQA people in the STEM fields. The discussion that started LGBTSTEMDay looked at the most effective way to promote role models and engage the different communities to which we belong. Discussions quickly became plans, and organisations such as Science Gallery, Ecsite, and the CERN LGBT group, immediately pledged their support. When the project was announced in March, it quickly spread throughout the scientific and LGBTSTEM community. People and organisations got in touch to help bring the project to completion. There are currently 30 events happening across three continents, and we are supported by 42 organisations, among which we find international collaboration such as CERN and the European Space Agency. “This support truly gives you hope. We formed our network last year to bring together a community of LGBTQ+ scientists in Ireland. And now we are building an incredible international family of groups and organisations, all working to make STEM more diverse and inclusive. LGBTSTEMDay is an exciting opportunity to bring that family together, in a truly global push towards improving the visibility and representation of LGBTQ+ people in STEM”. Dr Shaun O’Boyle founder of House of STEM, added. 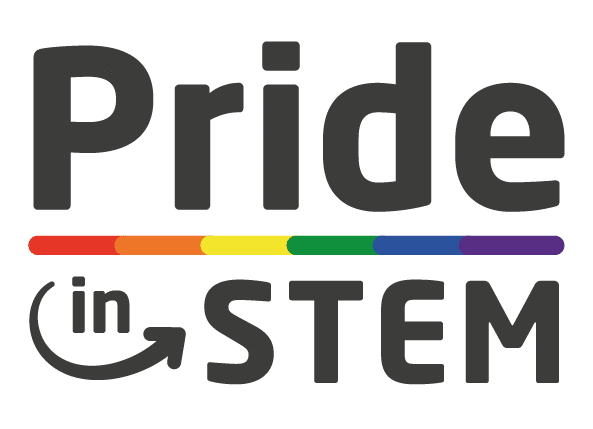 LGBTSTEMDay is not going to be the be all and end all for this project. It is a beginning. Other organisations have approached inclusion issues with similar strategies so the expectation is that a day of recognition can go a long way in helping to raise awareness and increase support. This can be a new and important component of the global push to increase diversity and inclusion in STEM. LGBTSTEMDay will predominantly be an online initiative with posts by organisations big and small. Individuals will share stories, photos, and videos about being LGBTQ+ in STEM. Help us share this hashtag with the world, and further broaden the reach of our cause.